Aristotle was famously quoted as saying, “In all the things of nature, there is something of the marvelous.” This idea is the backbone of Transcendentalism, the religious and philosophical movement that developed in the Eastern region of the United States in the 19th century. Transcendentalists believed that “there is an innate ability within all people to fulfill their potential, to overcome adversity, to face challenges directly, to rely on an inner voice and instinct to guide them through life. Listening to the inner voice, the Transcendentalist, at one with God and Nature, grows into an autonomous, self-reliant individual who feels no need to seek affirmation outside of him or herself” (Challman, 2008). Clearly, psychological well-being and the cultivation of adaptive coping skills closely relate to the state that Transcendentalists aspired to. Therefore, it is not surprising that the roots of the tree that is referred to as “Wilderness Therapy” are firmly planted in Transcendentalism. Tracing the roots of Wilderness Therapy, one sees that the healing powers of nature have been romanticized in literature since the transcendentalist movement. Most notably, Henry David Thoreau’s “Walden” chronicles one man’s quest to achieve a heightened awareness of self and society through a year-long communal with nature. Today, droves of Bostonians flock to Walden Pond, located just outside city limits in Concord, MA, for their weekly dose of wilderness, administered through shots of hiking, swimming, running, and kayaking. Perhaps the need for a more formalized brand of “Wilderness Therapy” has grown since the age of Thoreau. While the pond may remain unchanged, society’s faux sense of connection, conferred through constant access to the internet and social media, has interfered with the development of communication skills, attunement to changes in mood, and the growth of self-efficacy as a byproduct of outdoor play and engagement with nature. These are the goals of Wilderness Therapy. When is Wilderness Therapy Used? Wilderness Therapy has emerged out of the need to provide individuals with the opportunity to strip away the blinders of technology and connect with themselves, each other, and nature. There are three main kinds of therapeutic wilderness immersion programs. Depending on the kind of program, Wilderness Programs are used when there is a desire to promote appreciation of nature and sense of community or a need to promote self-esteem and / or self-control. The first kind of Wilderness Therapy is based on education, often of children and young adults, in conservation biology and preservation of natural ecosystems. Boy Scouts and Girl Scouts are prime examples. The goal of these kinds of programs is to promote proactive and supportive attitudes toward wilderness protection through ongoing engagement throughout adolescence. The second kind of wilderness program is based on personal growth and organizational development. Within this type of program, individuals are challenged to reconsider their preconceived notions about their own limitations and strive to achieve more, for the greater good of themselves and the organization. Team-building corporate wilderness retreats have grown in popularity in recent decades. The third kind of program involves the use of the wilderness as a backdrop for individual and group therapy. Within this type of program, exposure to nature—and limited access to technology—can accelerate the process by which issues are unearthed and addressed. These types of programs can range from day trips away from residential treatment facilities and into the wilderness to expeditions led by therapists lasting up to 8 weeks in duration. Clientele for this type of program is typically patients with behavioral issues, such as anger management, or patients with substance abuse problems. Research on effectiveness indicates that this type of program can increase self-esteem, boost self-control, and promote abstinence from substances. Take up gardening. The process itself is meditative and the sense of accomplishment involved in helping something grow and thrive can build self-efficacy. Go for a hike at a local park. Bring a loved one / pet or go by yourself. The combination of exercise and connection to nature can be highly therapeutic. Work can become such a routine that we go about our business mindlessly, almost as if on auto-pilot. Break up your work day by taking a walk on your lunch break. Even if your work place is in an urban setting, the fresh air could help you reconnect to your body and your surroundings. Take off your headphones, put down your phone, and stay attuned to your environment as much as possible. You might learn something about yourself or the world around you. Challman, R. (2008). Transcendentalism: Essential Essays of Emerson & Thoreau. Clayton, DE: Prestwick House, Inc.
Did you find an inaccuracy? We work hard to provide accurate and scientifically reliable information. If you have found an error of any kind, please let us know by sending an email to contact@theravive.com, please reference the article title and the issue you found. 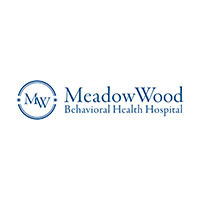 Licensed to operate 85 beds and located in New Castle, Delaware, MeadowWood Behavioral Health System supplies compassionate, effective, and comprehensive mental health and substance abuse treatment for people of all ages. Did we get your location wrong? This happens sometimes. So please give us another try and simply enter your ZIP below and we'll find exceptional therapists right near you.